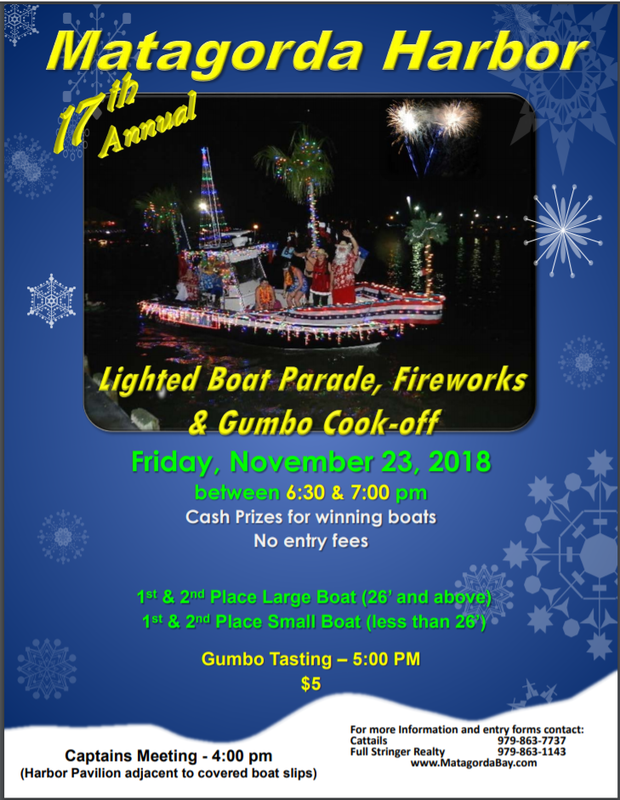 17th Annual Lighted Boat Parade at the Matagorda Harbor. Gumbo Cookoff and tasting starts at 5 pm, $5 a person. Boat parade and fireworks from 6:30 pm - 7 pm. 17th Annual Lighted Boat Parade at the Matagorda Harbor. Gumbo Cookoff and tasting starts at 5 pm, $5 a person. Boat parade and fireworks from 6:30 pm – 7 pm.